Mary Wilkins is the social services director for the Salvation Army Western Michigan & Northern Indiana division. "If a low-income family is not able to afford a Christmas for their household, we try to step in and fill the gap and make sure that they have a holiday meal," Wilkins says. "And then in addition to that, we want to make sure the kids get something for Christmas, a toy to remember it by." 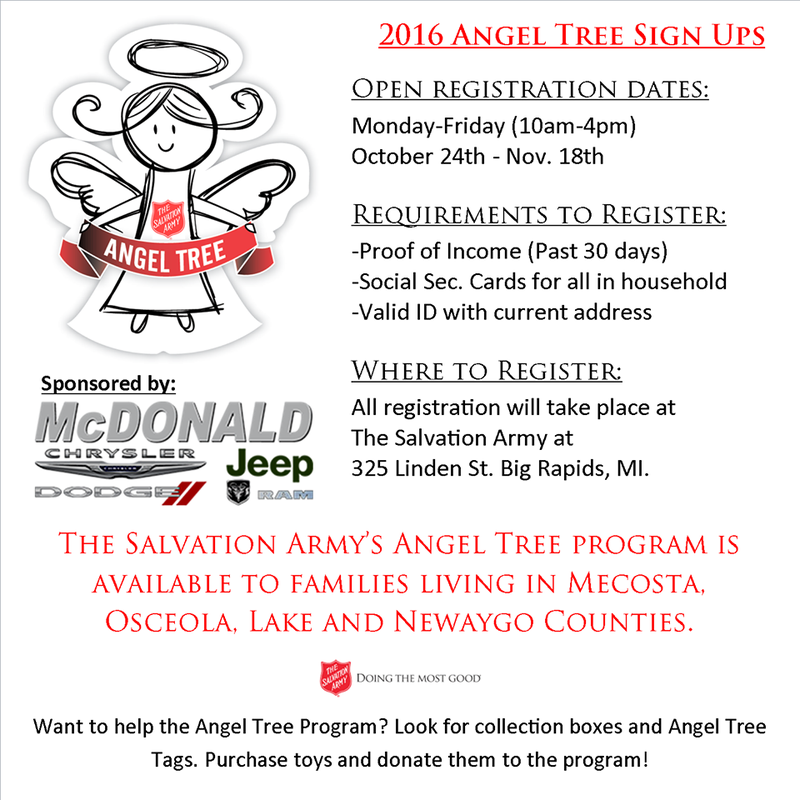 Anyone who wants to sign up to receive assistance has to go through their local Salvation Army. Those signups have already begun across the state. In some cases, the application window is already closed. But a few weeks ago, I got an email from someone concerned about the signup process at her local Salvation Army in Holland. The email was from Sarah Yore-Van Oosterhout of Lighthouse Immigrant Advocates. She’d been notified about a flyer going around for signups, and what was required for anyone who requested assistance. "The first two things on the list of documents you had to produce was a social security number and a state ID," she says. That’s a problem for the people Yore-Van Oosterhout works with. Many of them are undocumented immigrants, who, by state law, can’t get an official state ID and don’t have a social security card. "So, without those two pieces of documentation they assume they’re automatically ineligible for a program," she says. "And so they’re not even going to bother showing up at those offices to take advantage of these assistance programs." To Yore-Van Oosterhout, requiring these documents is a clear case of discrimination. And it turns out, the Salvation Army’s regional and national offices agree. "Salvation Army has a policy that we serve without discrimination," says Mary Wilkins, of the Western Michigan & Northern Indiana Division of the Salvation Army. "And so our policy is not to require a social security card, but to work with people to be as flexible as possible to provide a type of ID that will just verify their identity." Despite this policy, a quick check online found at least six local Salvation Army chapters in the State of Michigan that say they require social security cards for anyone applying for Christmas Assistance. One is in Big Rapids. Chris Karlin is the Salvation Army Lieutenant there. "We definitely take it on a case by case basis," he says of the local ID policy, "trying to make sure we’re serving everyone we can." "So," I ask, "why does it say on the flyer that a requirement to register for Angel Tree signups says social security cards and valid ID?" "Just because that’s the original flyer that came out," he says. "But it’s definitely something we’re trying to work with people on." Karlin says, as far as he knows, the flyers haven’t discouraged anyone in his area from applying. But immigrant advocate Sarah Yore-Van Oosterhout says, the flyers alone are enough to discourage her clients from seeking help. 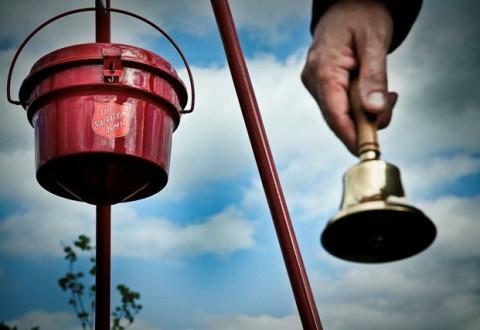 The leader of the local Salvation Army in Holland says he’s already replaced the flyers that went out earlier this year, and they’re still taking applications for Christmas assistance. 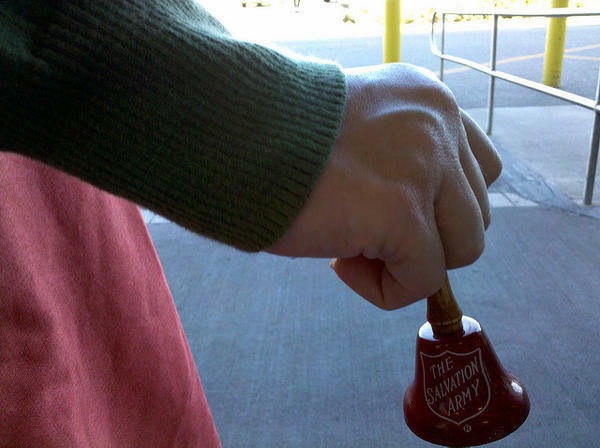 To find out more about Christmas Assistance from your local Salvation Army, click here. It’s the last day before Christmas. And amidst the frantic last-minute shopping and traveling, some people in Flint took some time out for music. For 78 years on Christmas Eve, a bank lobby in Flint has turned into a small concert hall. 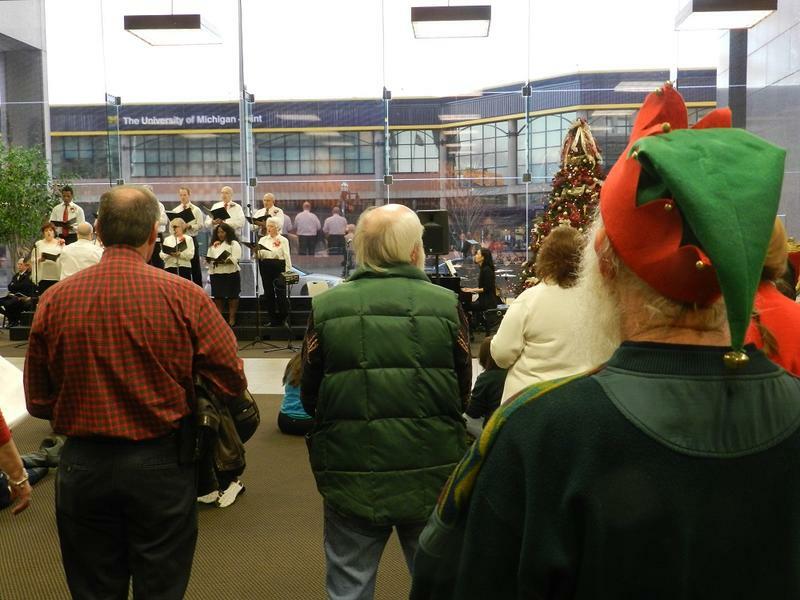 Dozens of people filled the First Merit bank lobby in downtown Flint to listen to choir sing a mix of holiday standards and carols, as well as sing along themselves. MUSKEGON, Mich. (AP) - All that glitters isn't gold, and the Salvation Army says it discovered that two metal bars dropped in a donation bucket in Muskegon weren't genuine. Salvation Army spokesman Roger Snider announced Wednesday morning that the one-ounce bars turned up in a kettle Tuesday evening and had an estimated value of about $2,370. But he says a further check showed that the bars were replicas and not solid gold.